Ambassador Danny Danon launches exhibition at UN headquarters detailing damage caused by Hamas arson attacks on the south. An exhibition that illustrates the damage caused by fires in the Gaza vicinity as a result of the launching of incendiary kites and balloons will be shown at the United Nations headquarters in New York this week. The exhibition, which was the initiative of Israeli Ambassador to the UN Danny Danon, presents the damage caused by the fires in the Gaza vicinity as a result of the Hamas terrorist organization's repeated arson attacks attacks Israel over the last few months. 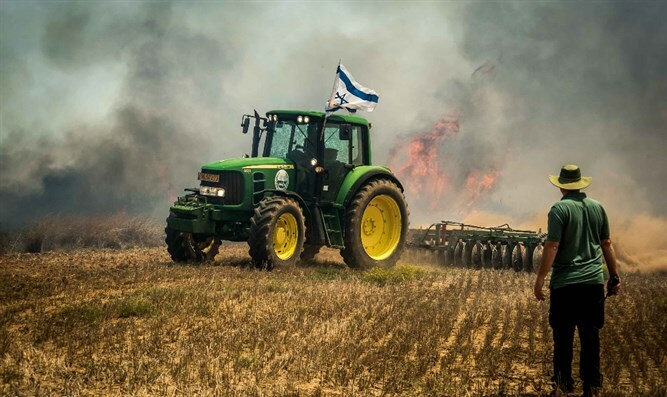 As part of the exhibition, "before and after" photographs from the Gaza envelope will be displayed showing the fields and agricultural areas before and after the fires, alongside additional photographs illustrating the damage caused to nature and the animals in the area. The photos in the exhibition were taken by Israeli photographers who documented the fires and their damage in the Gaza envelope area in recent months and were organized by the photographer Eddie Israel. The exhibition will highlight the damage caused by Hamas 'ecological terrorism to the United Nations' development goals and to protect the environment and will be open to ambassadors and diplomats from around the world. According to Israel's ambassador to the UN, Danny Danon, "The destructive fire terror not only threatens the lives of Israeli citizens but also destroys the ecosystem in the south and causes irreparable environmental damage. The cruelty and cynicism of Hamas, which has become an innocent pawn to lethal weapons, does not know any limits."